The box office is booming. New international markets are opening weekly. Amazing advances in technology hold the promise of new delivery systems. Yet there's trouble bubbling just below the surface in Hollywood today as movie industry creative types struggle to adapt to new business realities. On the eve of one of the biggest weekends for new movie releases, FRONTLINE explores the changing Hollywood, revealing how once-fiercely independent studio bosses must now answer to the megacorporations that have swallowed the industry whole. As Americans are confronted by acts of bioterrorism, powerful forces in the nation�s capitol believe Iraqi President Saddam Hussein is to blame, for this and many other terrorist acts during the last decade. Many are lobbying to mobilize a military operation to oust Hussein when the next phase of the war on terrorism kicks in. Proponents of the plan, including former Clinton administration CIA director James Woolsey, contend Saddam Hussein was involved in the first World Trade Center bombing, the attempted assassination of President George H.W. 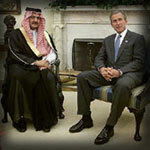 Bush in 1993, and the ongoing state sponsorship of terrorist activities. Foes of this plan argue that attacking Saddam will destabilize other nations in the region, most prominently Saudi Arabia, and no doubt destroy the carefully crafted coalition presently hunting for Osama bin Laden in Afghanistan. 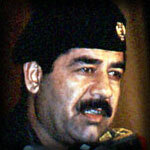 FRONTLINE investigates America�s other enemy, Saddam Hussein. On December 14, 1999, Ahmed Ressam was detained at the U.S./Canadian border when an alert customs agent became suspicious of Ressam's hesitant answers to her questions. 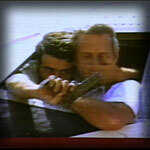 When the trunk of his car was opened, agents discovered a powerful bomb and a plot for a millennium attack on America. Ressam said nothing at his trial but, facing 130 years in prison, decided to testify against an accomplice. 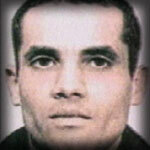 His chilling testimony reveals his motives, his methods, and his connection to an Algerian terrorist group that had already carried out bombings in Europe. Ressam described his training at the Osama bin Laden camps in Afghanistan, where he became skilled in urban warfare, sabotage, and covert operations. With access to Ressam�s testimony, police files, and officials in the U.S., Canada, and France, correspondent Terence McKenna follows the trail of a terrorist. The attack on the World Trade Center and the Pentagon was not only the most devastating terrorist attack in history, it was also the biggest failure of U.S. intelligence since Pearl Harbor. FRONTLINE correspondent Lowell Bergman and The New York Times investigate why the CIA and FBI failed to uncover the hijackers� dramatic plot to strike at the heart of the U.S. government and its economy. 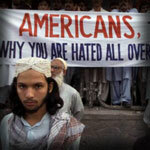 The film also examines the U.S.� failure to understand fully the hatred for America among Muslim fundamentalists, and its roots in the U.S. government's support for Israel and for authoritarian regimes in the oil-rich Middle East. A FRONTLINE co-production with The New York Times, this special episode is anchored by Bill Moyers. 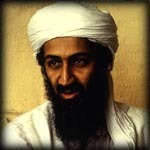 Osama bin Laden is charged with masterminding the 1998 bombings of two U.S. embassies in East Africa, believed to have had a role in the October 2000 attack on the USS Cole in the Yemeni port of Aden, and now is a prime suspect in the Sept. 11, 2001 destruction of the World Trade Center and the bombing of the Pentagon. This report features reporting by a Pulitzer-Prize nominated team of New York Times reporters and FRONTLINE correspondent Lowell Bergman. Tracing the trail of evidence linking bin Laden to terrorist attacks, this updated report includes interviews with Times reporters Judith Miller and James Risen and former CIA official Larry Johnson. They discuss the terrorist attacks which are linked, or are likely linked, to bin Laden's complex network of terrorists, outline the elements of his international organization and details of its alliances and tactics, and address the challenges confronting U.S. intelligence in trying to crack it. 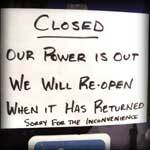 Power shortages. Rolling blackouts. Skyrocketing utility bills. California's power disaster has made "energy" a national front-burner issue. The state's power crunch has affected everyone from homeowners and small businesses to the big-business consumers of electricity who originally pushed for deregulation. Now, the state's largest utility, PG& E, has filed for bankruptcy. But is California's energy crisis the result of flawed deregulation and the weather-or, as some charge, market manipulation by a new breed of power entrepreneurs? Or a bit of both? And could other states face similar energy shortages? 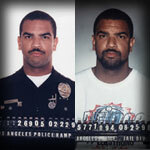 All is not well inside the Los Angeles Police Department. The worst corruption scandal in the force's history has devastated a police department once epitomized by Dragnet's Joe Friday and the clean-cut crew of Adam-12. FRONTLINE correspondent and New Yorker writer Peter J. Boyer unravels the mysteries that swirl around recent reports of police brutality, departmental racism, and corrupt cops who take part in everything from dope deals to bank robberies. A gene from a jellyfish is placed in a potato plant, making it light up whenever it needs watering. Rice plants are genetically transformed to produce vitamin A, preventing millions of African children from going blind. Plants are modified to produce plastic or pharmaceuticals. 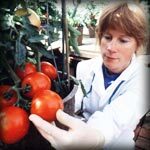 These are just a few of the touted benefits of genetically modified agriculture - the use of genetic engineering to alter crops for the benefit of mankind. But while proponents say this new technology has the potential to end world hunger and dramatically improve the quality of life of billions of people, others argue it constitutes the biggest threat to humanity since nuclear energy. Dubbing such genetically altered products "Frankenfoods," critics argue that the technology has been rushed to market. Scientists, they claim, are tampering with nature, risking potentially catastrophic and irreversible ecological disaster. The controversy has led Europe to ban the planting of genetically modified crops and to demand that all existing "GM" products be labeled. 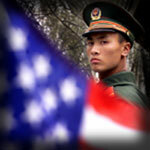 Will America follow suit? This FRONTLINE/NOVA special report examines the growing controversy over genetically modified foods. Today, millions of American children are being prescribed powerful behavior modifying drugs such as Ritalin, Prozac, Adderall. But are these medications really necessary-and safe-for young children or merely a harried nation's quick fix for annoying, yet age-appropriate, behavior? FRONTLINE investigates the rapidly growing use of psychoactive drugs by children and the challenges of parenting and schooling in a world of high stress and increasing family disintegration. Through an intimate portrait of several families in an American suburb, the film explores how medication has increasingly become an integral part of caring for our kids. The documentary also examines the role of doctors, educators, pharmaceutical makers, and insurance companies in advancing this trend. 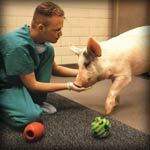 Imagine a world where every patient who needed an organ transplant could receive one right away. Such a future is promised by xenotransplantation, the experimental process of transplanting genetically modified pig cells and organs into humans. But while a scientific breakthrough in cross-species transplants could offer hope to millions of desperately ill patients, such procedures could introduce new infectious agents into the human population, posing a public health risk to millions. Do the benefits of xenotransplantation outweigh the still-unknown dangers? FRONTLINE presents a rare inside look at the multi-billion dollar xenotransplantation industry, including a secret transgenic pig organ farm somewhere in North America. FRONTLINE presents extraordinary cutting-edge footage of the organs being developed and an unprecedented glimpse into a bio-secure, air-locked barrier world where science fiction may soon become science fact. FRONTLINE journeys into the world of the marketers of popular culture to teenagers. They spend their days sifting through reams of market research data. They conduct endless surveys and focus groups. They comb the streets, the schools, and the malls, hot on the trail of the "next big thing" that will snare the attention of their prey�a market segment worth an estimated $300 billion a year. They are the merchants of cool: the creators and sellers of popular culture, who have made teens the hottest consumer demographic in America. But are these marketers merely reflecting a growing coarseness in teen culture, or have they helped create it? Are they simply reflecting teen desires or have they begun to manufacture those desires in a bid to secure this lucrative market? And have they gone too far in their attempts to reach the hearts�and wallets�of America's youth? 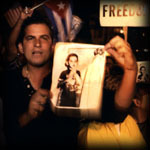 On November 25, 1999, a five-year-old Cuban boy was plucked from the shark infested waters off Florida, and what began as a Thanksgiving story soon erupted into a political and social firestorm that transfixed the nation and rocked Miami's Cuban-American community to its core. FRONTLINE examines the passion and the purpose behind the battle over Eli�n Gonzalez and its effect on both the Miami community and the Cuban-American cause. With footage from Miami and Cuba, and interviews with participants and observers on both sides of the controversy, the documentary explores how one little boy became a symbol of a forty-year struggle for the future of a nation. Should teenagers who commit serious crimes be tried as juveniles or adults? What happens to young offenders who reach the 'end of the line' in the juvenile court system - and how do you rehabilitate these young people to prevent future criminal behavior? FRONTLINE explores these questions as it follows four juvenile offenders - one white, two Hispanic, and one African American - through the Santa Clara, California, juvenile courts, observing how the criminal justice system treats their cases and determines their fates. He was a masterful campaigner - a skilled politician whose command of the issues and ability to connect with an audience impressed seasoned politicos and voters alike. 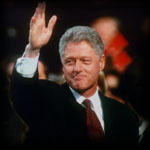 Yet a rocky transition and a succession of scandals and mistakes - both personal and political - very nearly derailed the presidency of William Jefferson Clinton. As a new president takes the helm of the ship of state, FRONTLINE and ABC's Nightline join forces to present "The Clinton Years." A weeklong series of special Nightline reports culminates in this two-hour FRONTLINE documentary that follows Bill Clinton from the governor's mansion in Little Rock through a hard-fought campaign and his eight years in the White House. Through interviews with George Stephanopolous, Dee Dee Myers, Madeleine Albright, and other key administration officials, this seminal documentary hosted by Nightline's Ted Koppel offers the first inside look at the Clinton presidency.